Trains from Norfolk Southern used to run through South Bethlehem to Bethlehem Steel and beyond. These rails, now defunct, are now part of a project by the City of Bethlehem to convert the rail bed to a greenway. 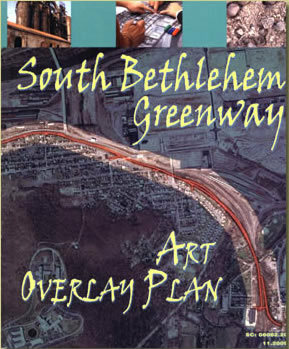 In 2007, the City purchased the rail bed from Norfolk Southern, and began planning for the Greenway from Union Station on the north to Saucon Park. The first portion of the Greenway, running along Daly Avenue to East Third Street, was completed in 2009. Other sections are scheduled to be completed in the next few years, pending funding. Lehigh students have been promoting use of the Greenway on and off campus.